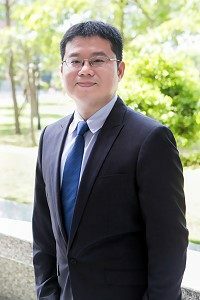 Ph.D. Computer Science and Information Engineering, National Chung Cheng University. Lecturer, Computer Center, National Chung Cheng University, Chia-Yi, Taiwan. Software Program Designer, World-Pallas CO., LTD.
C. S. Lin, C. C. Chen, and Y. C. Chang, “An efficiency enhanced cluster expanding block algorithm for copy-move forgery detection,” in Proc. of IEEE Int. Conf. on intelligent networking and collaborative systems, pp. 228-231, 2015.